I have lived in the Augusta area for the majority of my life and have just recently discovered some of our secret shopping treasures! 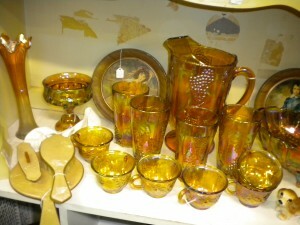 A couple of months ago, on a slow Sunday afternoon my husband decided to check out the Riverfront Antique Mall. What a treat! As far as antique malls go, this place is ranked pretty high in my book. It is located indoors, which means you can enjoy it year-round, even during a hot and humid southern summer. 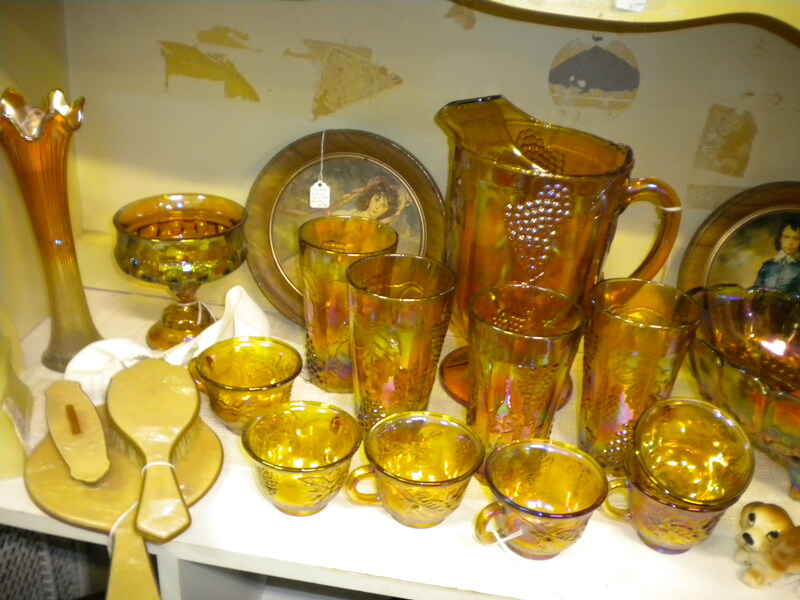 There are all sorts of different vendors, so the antique mall is organized by vendors. Most vendors have one &apos;booth&apos; but some are large enough for two or three. The best part is the variety. You can find almost anything inside, from vintage clothes and handbags to books, music and furniture. I am a collector of carnival glass and have been able to add to my collection with several different great finds here, like his blue compote. 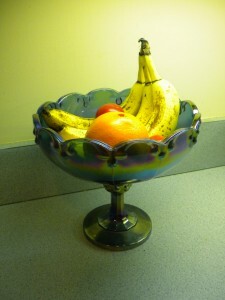 It works great as a fruit bowl, too! We also found a booth with all sorts of Masters souvenirs and Augusta memorabilia. 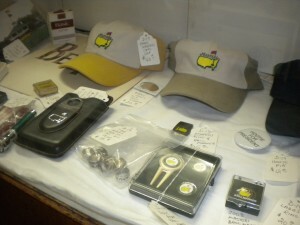 Since these items are only available once a year during the tournament, you can find them in antique stores around town. The Riverfront Antique Mall even has a little cafe inside serving sandwiches and snacks. This was a treat for me, since we ended up spending almost 3 hours here on our first visit! 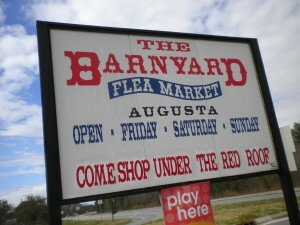 One of my other favorite spots to visit is the Barnyard Flea Market in South Augusta. They have everything under the sun, from produce and plants to antiques and car parts. 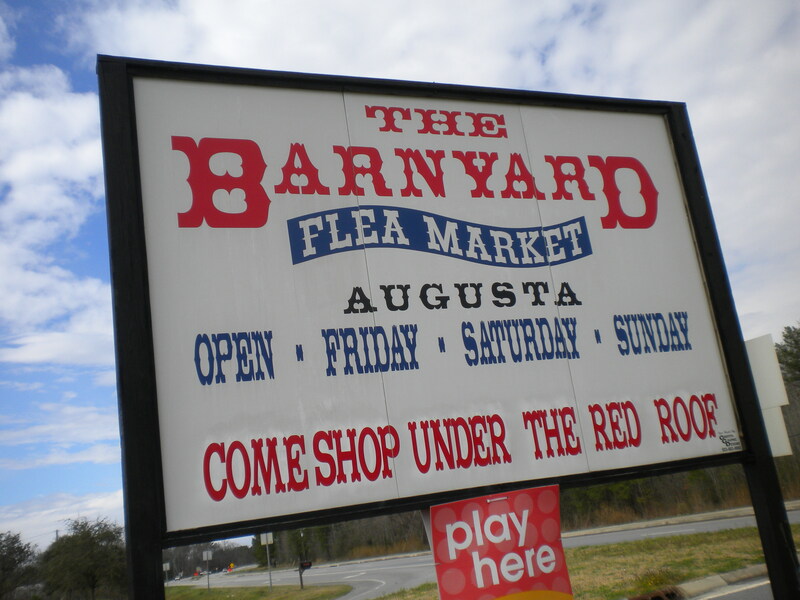 The Barnyard is an open air market and also has several different spots for snacks too, in case you get the munchies while you&apos;re wandering around on the search for a bargain. I&apos;m usually on the lookout for another piece of carnival glass, but last time we were out there I found some lovely little tomato plants for my garden, for only $1 each. You never can tell what you might find just around the corner!